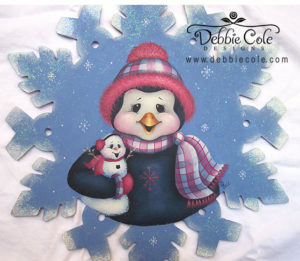 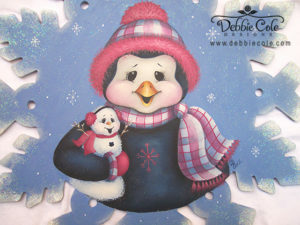 Penguin & Lili’l Flake is an e-packet with instructions to paint this adorable snowflake plaque. 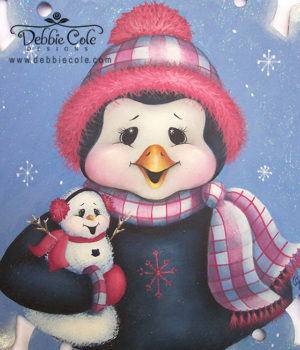 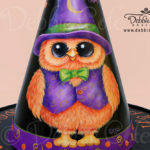 This is a Debbie Cole Signature Design featuring her adorable animals and characters. 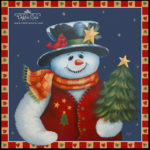 It will add a fun and festive touch to your home this Holiday Season. 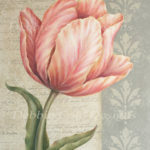 The packet contains in depth instructions with finished and three close up photos, and a line drawing. 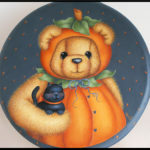 The surface is not included, but is available form Viking Woodcrafts.